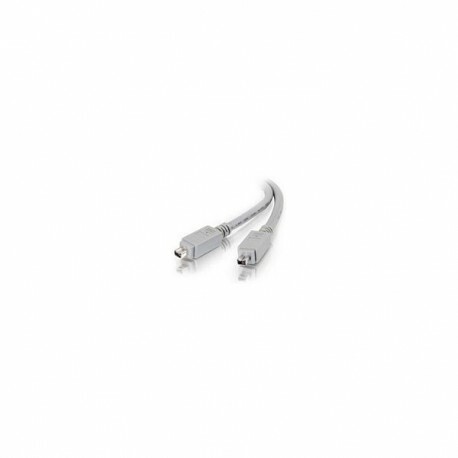 IEEE 1394 FireWire® cables from Cables To Go provide transfer speeds up to 400 Mbs. Digital Video camcorders, scanners, printers, video conferencing cameras and fixed-disk drives can all share a common bus connection to one PC, as well as to each other. With Windows ME® or Apple's FireWire Target Disk Mode you can use an IEEE-1394 cable to connect two computers together to allow for file sharing. Use the 6-Pin cable to provide power to devices and the 4-Pin for non-powered devices. Designed to be 100% compatible with Apple FireWire®, Sony iLink® and all other IEEE-1394 peripherals.